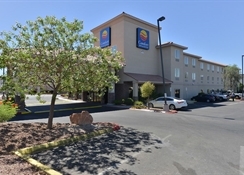 Near Las Vegas Speedway, Nellis Air Fore Base, Shopping, Restaurants, Service Stations, Casino and Businesses are nearby. Shuttle service to hotel for groups of five or more. 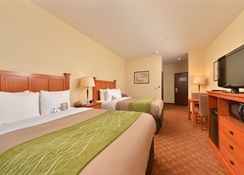 Free Deluxe Continental breakfast available seven days per week. 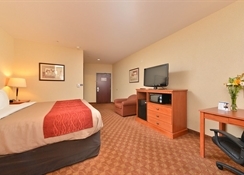 Pool, Spa tub, Exercise room, free high speed wireless internet access also available in all rooms. New hotel Jan. 2007. All rooms have en suite bathrooms with showers, as well as free WiFi, flat-screen TVs, microwaves, minifridges and coffeemakers. Suites add separate living spaces. Free perks include a hot breakfast buffet and RV parking. 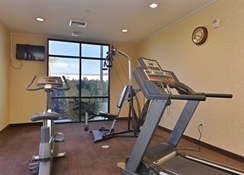 The hotel also offers computers for guest use and meeting space. 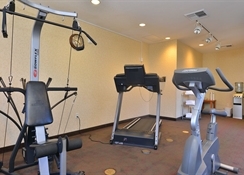 Other amenities include an outdoor pool, a hot tub, an exercise room and a convenience store. The Las Vegas Motor Speedway, the exciting casinos, entertainment and restaurants of the city centre are all in close proximity. 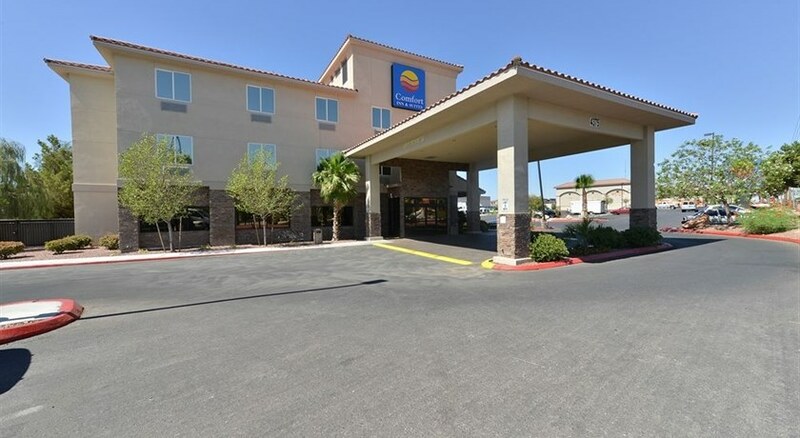 This simple roadside hotel is within walking distance of several restaurants and bus stops (with access to Las Vegas and the Strip), 1.4 miles from Interstate 15 and 1.8 miles from Nellis Air Force Base.